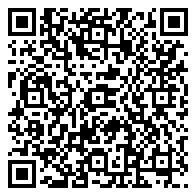 I love technology, especially while living on the flipside. I can post a meal of live insects while I reach for the antacid, stream my commute to work on an electric rickshaw, tweet friends while getting a blind massage. So uploading the latest few photos of my escapades in China? Well, it just doesn't have the pizzazz that it did when I was in college and had to stretch ten rolls of Kodak film to last three months. But there is one thing that the app of the hour has yet to capture. Smells. It's the final frontier of technology, as the aromatic wonders of Asia can't be shared elsewhere. Until there is a scratch and sniff app, curious nostrils will have to rely on descriptions penned by those whose noses work overtime. And since I'm a member of the dabizi — or 'big nose' — club, I thought I'd start by sharing the Kunming Top Ten Smells in Kunming that are hard to forget — even when you want to. Ok. Thanks to that egg-headed guy on the Food Network who eats entrails and snails for breakfast, this South Asian delicacy has a bad rap. Yes, the smell is pungent, highly sulfuric, like a concentrated egg fart fanned in your face by your little brother, chased with a few Lucky Charms. 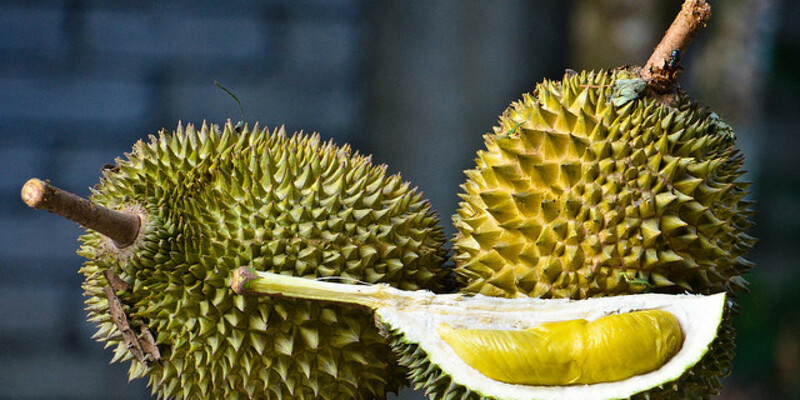 The infamous smell has placed durian on the no-fly list, as it's banned from several Southeast Asian airports. But the taste? A delicate blend of vanilla, papaya with a hint of onion. Fruit vendors will gladly crack open the spiked fruit with their cleavers — if you try to slice one open on your own, wear protective gloves as the spikes are painful. The texture is reminiscent of an overly ripe avocado, the color of melted eggnog. It's perfectly fine to eat the pods of creamy durian with your hands, but have a load of napkins on hand in case you don't find it finger lickin' good. If you're tempted to try durian but did not pack a hazmat mask, try freezing it first to dull the smell. You will see the vendors on the street appearing to grill little pillow puffs. While stinky tofu is a local favorite in Yunnan — especially when dusted with crushed red pepper — the smell brings back memories of the chemistry set I had as a kid, mixing together the two test tubes of chemicals that the package warned against, creating a toxic gas. While the smell of stinky tofu won't kill you, its sour barnyard aroma can lead to coughing and moving to the other side of the street. Kunming has several Buddhist shrines, all worth a good visit. The list includes Yuantong Temple, an easy-to-get-to attraction containing golden Buddhas, colorful dragons, bronze gongs, devoted monks and several alters for burning incense. You can purchase colorful wrapped incense sticks in front of the temples. They look like a large version of sparklers but don't just flick your Bic. There is a ritual to burning incense at temples. Guests light three at a time then hold them to their forehead before placing them in one of the many alters. The smell of incense at a temple can be intoxicating and as thick as the smoke of a barbecue. Visitors might also burn joss paper or ghost money as part of Chinese ancestral worship. If you got your temple groove on while in the Spring City, other good visits include Guandu Ancient Town, Bamboo Temple and Dragon Gate Temple at the top of the Western Hills. Chinese pharmacies aren't like Walgreens in America or Boots in the UK. Traditional Chinese Medicine clinics are still usually in old buildings and doctors will want to see your tongue as much as they want to take your pulse. The smell is a musty mix of your grandmother's spice rack and grandpa's tackle box, including pungent cures like mugwort and twisted roots of ginseng. Be sure to follow your curious nose into one these places. We recommend checking out Kunming Municipal Hospital of Traditional Chinese Medicine, or Fulintang near the old Bird and Flower Market, the latter of which is the province's oldest apothecary. If Kunming is the flower capital of world, then Dounan Flower Market is the centerpiece of the city. While most activity happens at night, where skads of flowers are shipped around the world, the doors are open to the public during the day. The smell is beyond what is captured in an entire case of aerosol air fresheners — the smooth dominant smell of lilies, the velvety nose of rose, the freshness of carnations and hundreds of other varieties. Warning — bring allergy medicine. The trip will not only pay homage to your olfactory system but is a great place to buy a bouquet at rock bottom prices. I've eaten almost everything in Asia, but there is a line I will not cross. Actually, it's not a line but the counter at any corner convenience store. Near the front register, adjacent to the condom display, there is usually a fryer of amber oil coated with a slight film. This is where you can join the line of teens and order a deep fried hot dog on a stick, rolled in spicy lajiao if you wish. The smell is of vintage canned dog food, before marketers made it look like people food. One of the few things I refuse to eat. 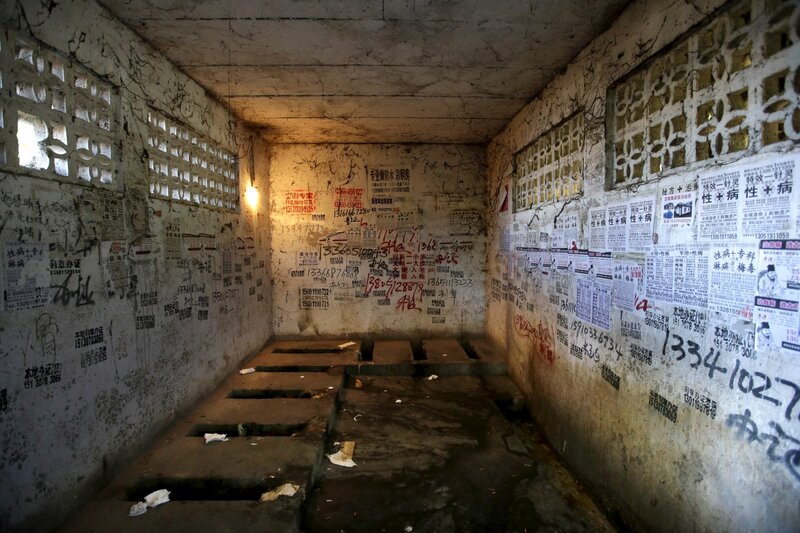 It is no surprise that China's president has ordered the country to clean up the public toilets. Since you can get fined for dropping a number two in a number one zone, you'll want to hunt out the public johns for your serious plops. Also, bring your own paper. Public johns are only as clean as was the aim of the person squatting before you. And remember, no flushing of your paperwork as Chinese sewers easily clog. Place it in the circular bin. If you love a late night bite, just follow your nose to the nearest night market for some shaokao – aka barbecue. You'll find a mix of everything grilling on skewers from meat to seafood to monster mushrooms, all doused with lots of spice, including Sichuan peppercorn and black cardamom. Simply delicious. You might think you wandered into the reptile section, but no, it's the Walmart meat department. You'll find everything from dried pig face to live frogs the size of baseball mitts plopping around in aquariums. Plus there are always piles of dried seafood and ground pork out in the open, not inside a refrigerated glass case. Shoppers help themselves to the bins of pig feet and stacks of whole chickens. So yes, it's a bit stinky, a bait shop meets the county fair. That's you. Even with your deodarant roll-on, if you're from the land of cheese and Big Macs, according to many Kunming locals your body secretes a sour smell like cheese. A diet high in dairy gives some foreigners an odor that stands out in the crowd, one that the Vietcong could sniff out during the war in the Sixties, and one that can signal a blind masseuse to take it easy kneading your aching muscles after a long day of walking. So don't let your supersized smell cause problems, especially if you have the middle seat on the fourteen hour flight. Cilantro does a great job of neutralizing your body's smell. Hot pot, the Cyprus trees at Golden Temple and Starbucks. Just when you need a taste of home, you can visit one of the several Starbucks in Kunming. They all look the same, smell the same and the baristas even speak the same Starbuckese. Editor's note: This article was submitted by GoKunming user Ginger MacDonald. If you have a story idea, smelly or not, drop us a note by using the contact form. For everyone else, leave your personal top ten in the comments below! Haha. Very good. Add "Dianchi Lake" and "my male students on a hot day"! Nice article, Ginger, and on a subject that one might not think about until, once one does, it's obvious that it should be explored. The point about foreigners particularly applies, as you indicate, to people from milk-product-using 'western' countries and, as you indicate, it is one picked up in some southeast Asian countries as well - but foreigners from other areas will be pegged also (e.g., South Asians who use many different 'curry' spices, etc., that are not used so much in China). And then there is the widespread smell of tobacco, noticeable primarily by those foreigners who don't use it. Baijiu has a particular smell also. Following on Alien's comment, one vote for the moonshine shops that store their product in clay pots. Pungent. Wet markets, smells - yeah, but not all bad. Cf. sterile supermarkets. Equating body odor and food that smells bad is a bit silly. B.O. can be addressed easily by showering and deodorant and changing clothing regularly. Locals are complaining about how laowai smell? What a joke. Get your disgusting revolting stinky tofu sorted out. It's a much more pressing issue. Smell is part of the enjoyment of food ... so people consume smelly tofu because? .... it's a form of self-torture if you ask me. Why not take it a step further and consume food you think tastes bad, not just smells bad. Then you will take the torture to a whole new level. And self-flagellate yourself with a whip and put spikes through your forehead while you consume it! I also would of put a good hotpot smell further up the list rather than a side mention, one of my faves! @redjon, I find the smell revolting and it literally makes me want to vomit. I am not exaggerating. I like a lot of chinese food, but that ain't one of them. But if you and others like it, then I will try to respect that ... I'll just continue to quietly cross to the other side of the street. Peace out. Geez, what a bunch of sensitive foreigners. Frankly, I love fresh durian, stinky tofu, hotpot and don't mind incense. I like nuoc mam too. Hate to ask but WTF are you guys doing in China? A good read. I can't understand the sidelining of hotpot and then adding insult to injury by throwing it in as a footnote alongside Starbucks (comfortable, nice furniture, second rate coffee). Article reads like an extract from a guide for Victorian ladies on their first trip abroad. Yeah, well, it's perhaps useful to tourists and very new arrivals. The trick in enjoying hotpot and not smelling like boiled mutton is to change your clothes within a day or two. Me, I would never go much longer than a week wearing the same clothes. Showering at least once a month will also help the stinky foreigner problem. Glad someone's keeping up standards. Year,stinky tofu is so delicious,. Obviously all a matter of different strokes. Haha, stinky tofu supporters coming out. Too funny.